Why Employee Engagement Should Be Part of Your HR Strategy - Professional Association Management Company | Virtual Inc.
We’ve all had them. The employee who had everything going for them on paper during the interview process, then turns out to be a nightmare. Associations often feel particularly challenged in this respect—feeling that constraints on salary or “perks” compared with non-profits relegate them to be less selective on hiring. But hiring for fit isn’t about money—it’s about having the right selection process. And whether you’re hiring for a small non-profit association or a giant publicly traded company, any organization can do it right. It starts before the interview. Before the first candidate is even interviewed, situational factors, including the job’s components, work environment, company culture, and the hiring manager’s leadership style, need to be reviewed and factored into the interview process. When it is time to interview, studies indicate that behavioral interviewing is more effective than traditional interviewing techniques at predicting future success. With behavioral interviewing, the questions are designed to evaluate competencies that proper job analysis reveals are indicative of successful job performance. Companies learn what the candidate has done in the past, and will likely do in the future, if selected. When used properly, legal risks are usually reduced since all candidates are effectively evaluated in the same manner, minimizing the potential for inadvertent discrimination. Additionally, during the interview, effective communication regarding the resources the association provides, organizational structure, mission and values, and the team with whom the candidate will work is essential; these all matter to both the association and the candidate. Once the foundation is set, behavioral interviewing should reveal a candidate’s ability to succeed in the job, as well as his or her true attitude, indicating whether the person will be a good fit not only for the job itself but also for the organization’s culture. 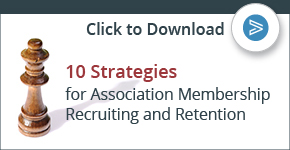 After a successful candidate is hired, organizations need to turn their attention to integrating and retaining their new employee. But that’s another topic.